Florida, the USA based Port Manatee has signed an agreement to keep Del Monte fruit coming into the Florida Gulf Coast port for as many as 20 more years. Del Monte Fresh Produce N.A. 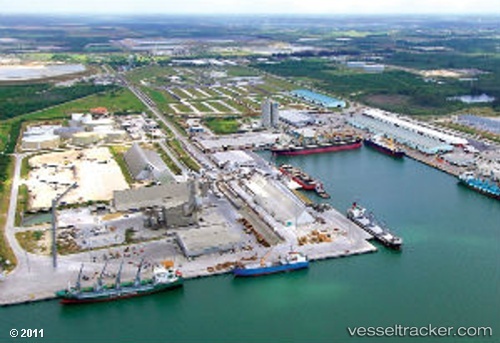 Inc., which has imported fruit into the port since 1989, is now signed to a lease extension with Port Manatee through Aug. 30, 2021, with options for three additional extensions of five years each. If all options are exercised, Del Monte will be doing business at Port Manatee until at least 2036, the Port Authority said in a news release. “Extension of Port Manatee’s long-term partnership with Del Monte demonstrates the mutual commitment on the part of our port and a most-valued tenant,” said Betsy Benac, chairwoman of the Manatee County Port Authority, which at its meeting on Aug. 18 approved the new agreement for Del Monte’s distribution facility at Port Manatee. Port Manatee’s executive director, Carlos Buqueras, added, “We look forward to sharing success with Del Monte for decades to come.” One of the North America’s largest marketers and distributors of fresh produce, including as the world’s No. 1 fresh pineapple marketer, Del Monte deploys refrigerated vessels to weekly import bananas and pineapples from Central America via containers and pallets. Export cargo includes linerboard that is used for packaging, as well as various third-party containers and project cargos.